After fully defining the concept through sketching, a Solidworks model was created and rendered using Keyshot3. Though CHOP is simple, it incorporates a number of clever elements to improve the user's experience. The silicone edges surrounding the board and the silicone feet help keep the board anchored to the counter, preventing slippage. The angled cutting surface allows juices to flow away from the user, while preventing leakage onto the counter. 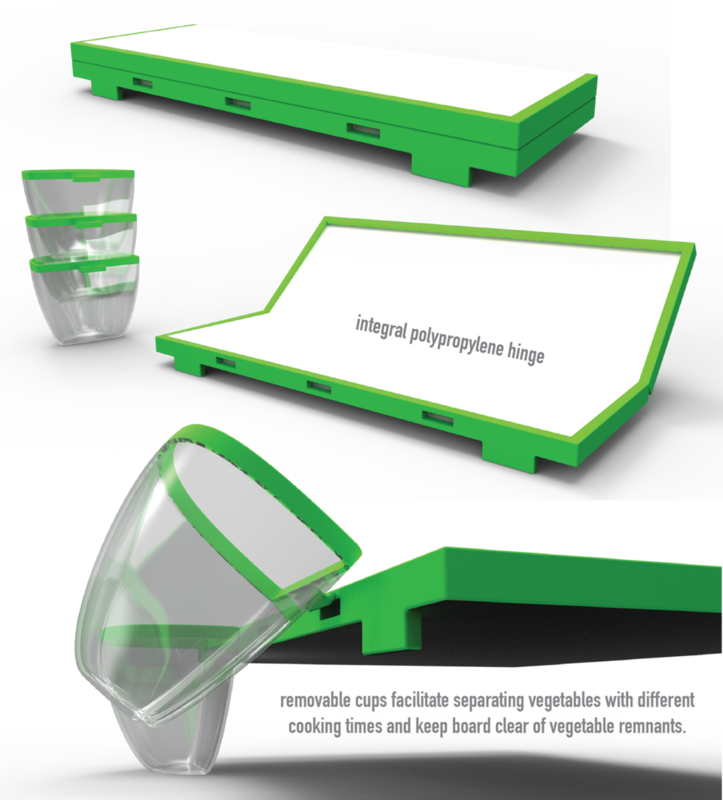 To save space, the cups are stackable, and an integral polypropylene hinge allows the board to fold in half.